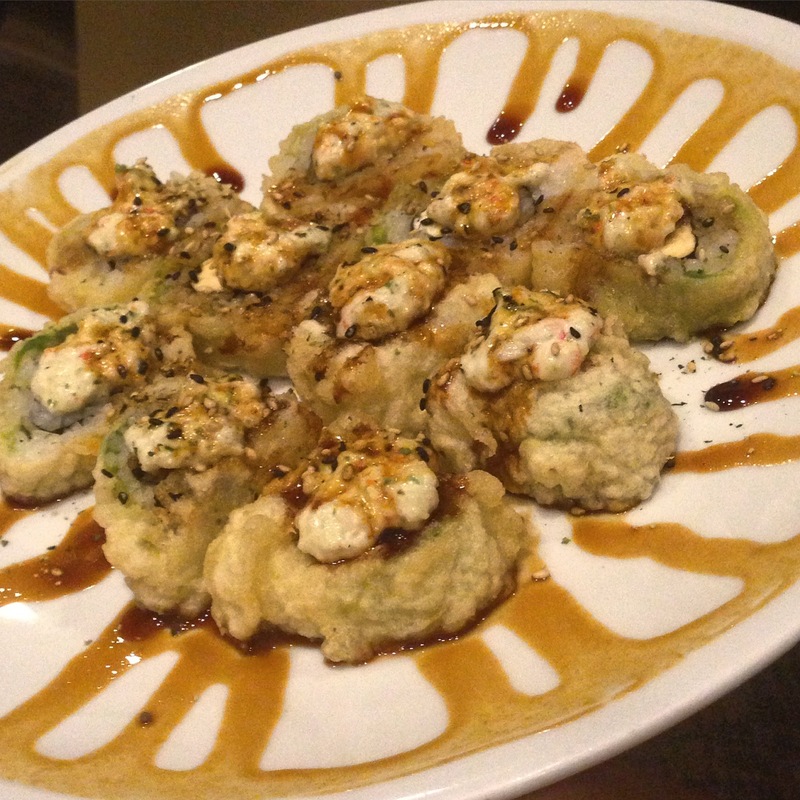 Editor’s Note: OhSpooning received free food and sake from Sushi Zushi. 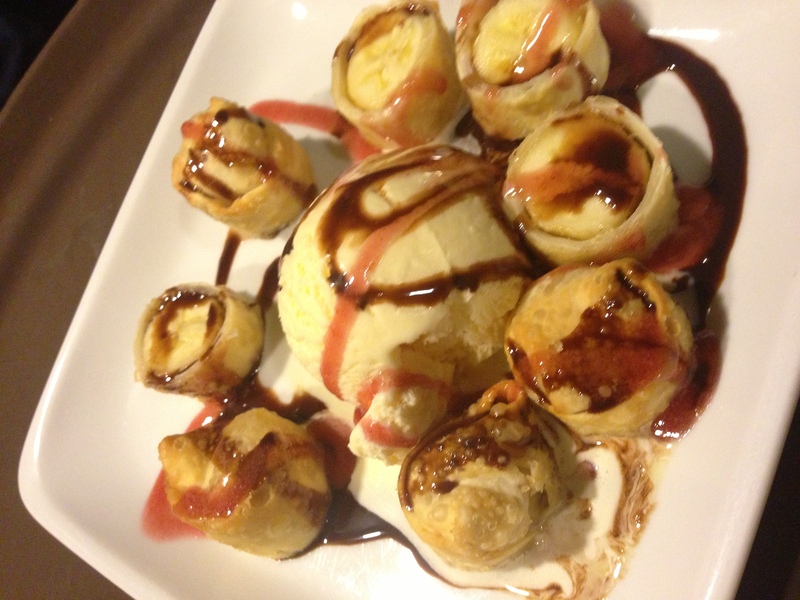 The Austin Food Bloggers Alliance happy hour for February was at the downtown Austin location of Sushi Zushi this month. 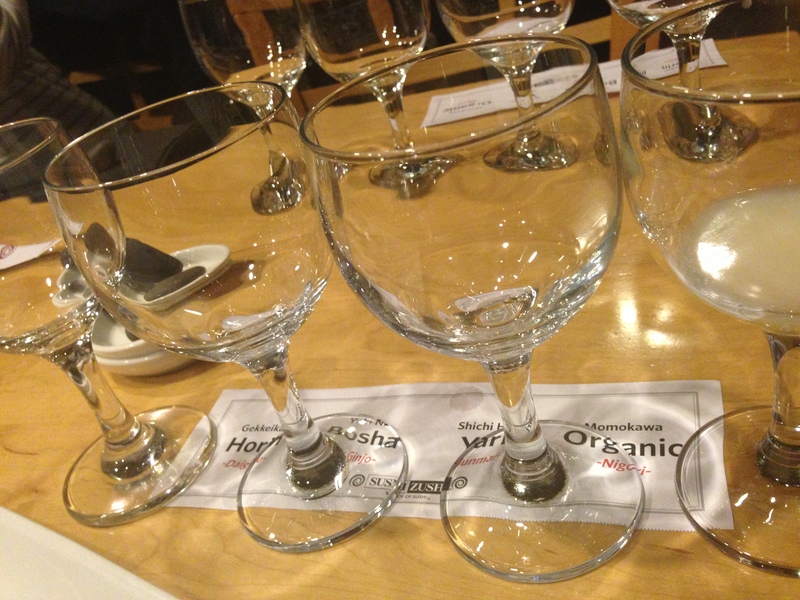 In addition to providing food, the friends at Sushi Zushi also gave a quick Saki 101 class to the attendees. 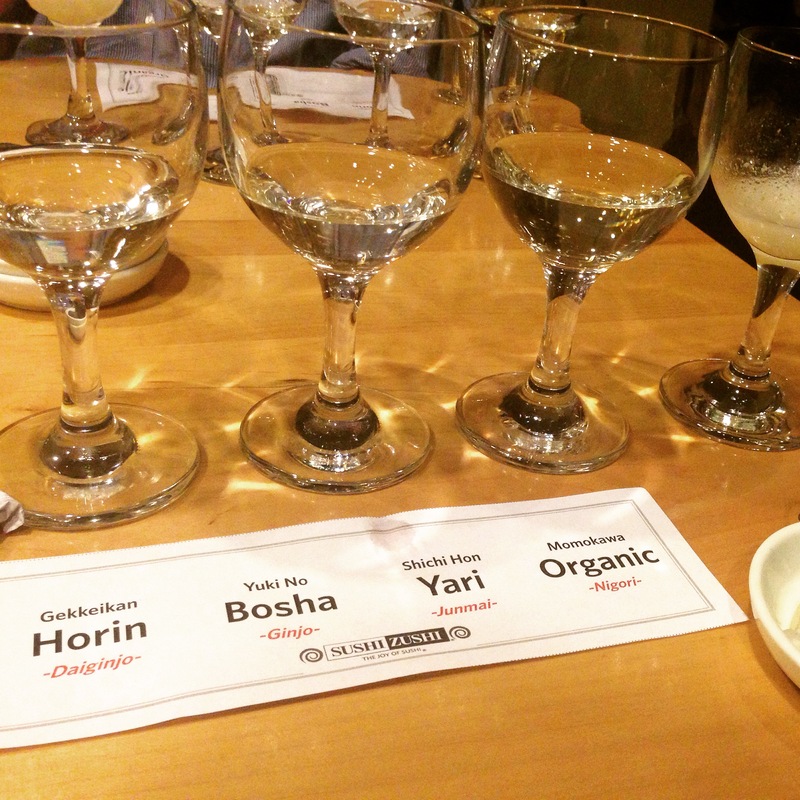 There are three different kinds of sake, according to Sushi Zushi: Daijingo, Ginjo and Junmai. The difference between the three are the amount of rice that has been polished away. The three above are listed in order of most polished away to least polished. You should be able to tell how polished the glass based on how clear the sake is. We used a white sheet of paper held behind the glasses to see which had more and less. We also tried nigori (meaning cloudy), which is less expensive and has a lot of rice left in it—it tastes a bit like rice milk, except with alcohol. You can try sake much like you would try wine, from swirling the glass to smelling the sake with an open mouth—the same rules apply! I enjoyed meeting Christine from Smoked Salt and Pepper and her friend in graduate school for journalism. Christine is new to AFBA and they were a lot of fun to sit with during the tasting. When I first got to the happy hour, there were an overwhelming amount of people in the room and many were jumping at the food. Once we finished the sake tasting, the room had died down enough for us to try some of the many samplings that were offered. I couldn’t tell you the name of a single thing that was served, but I can say it was all delicious. Sushi Zushi is good at adding many flavors while still allowing for you to taste the fish. 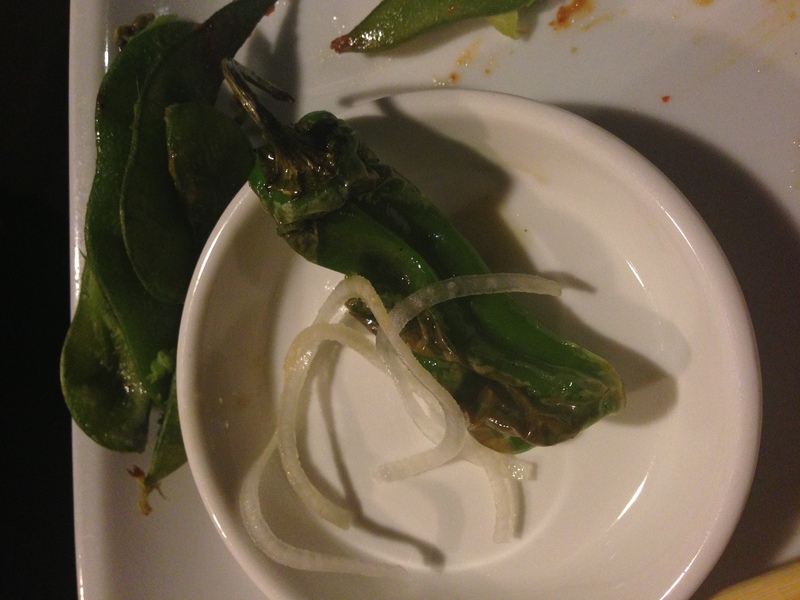 They also have some great edamame appetizers with different sauces. 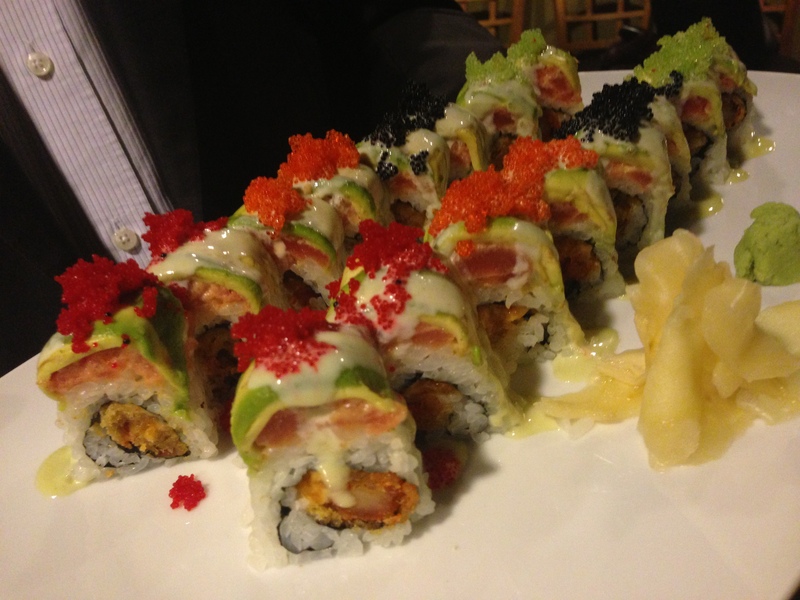 Whether you’re downtown or in the Domain area, I’d recommend Sushi Zushi as a happy hour spot!